Prince Harry and Meghan Markle are clearly in love and ready for the altar ... but there's a reality about marriage as Prince Charles will say -- sometimes it doesn't work out, and when that happens money becomes an issue. 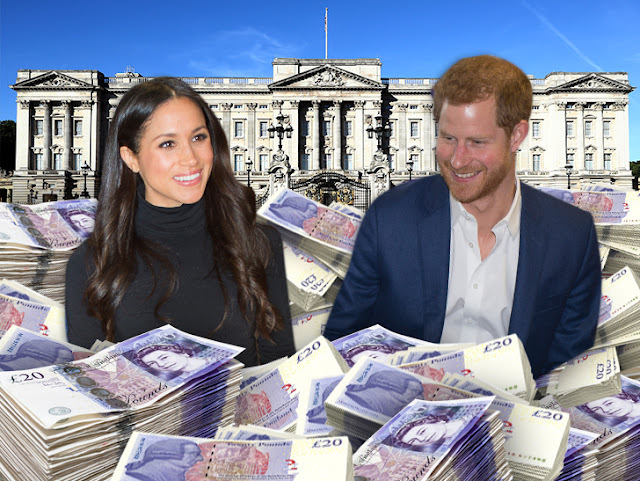 We have the lowdown on the money Harry and Meghan get while they're married, and what each might get if it doesn't work out. -- Harry is currently worth $40 million. -- Harry gets income, along with William and Kate, from Charles' private estate, which generates around $27 million a year. Harry, William and Kate split $4.4 million from the estate in 2016.
International divorce lawyer Jeremy D. Morley tells us England recognizes prenups, and although they can influence a judge they are not binding. Charles and William did not have prenups. Now get this ... in terms of dividing assets in the event of divorce, it's not just what the couple makes during the marriage. What both spouses bring into the marriage is fair game. So Harry's $40 mil and Meghan's $5 mil go into the pot to divide up in the event the marriage doesn't last. Our Royal sources tell us Charles paid Diana around $23 million when they divorced and that basically cleaned him out. Hopefully none of this info will ever be relevant and they'll live happily ever after.